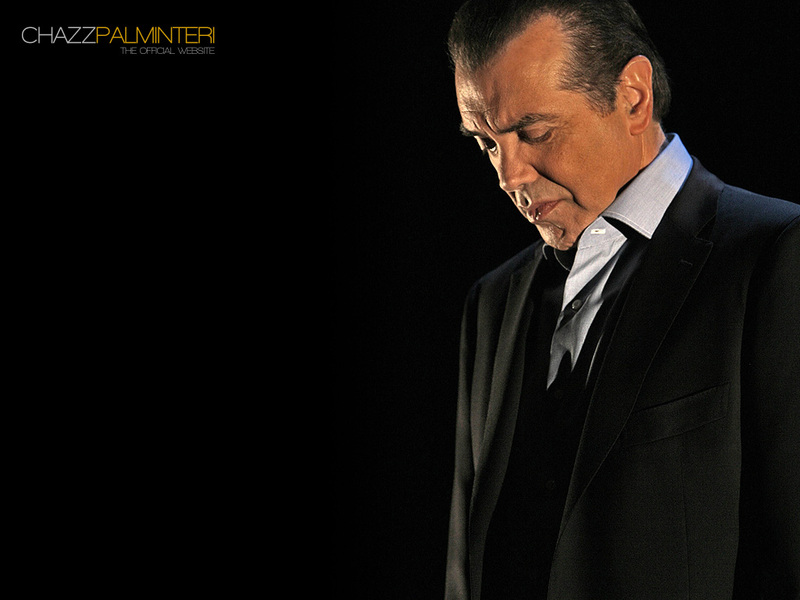 Chazz Palminteri took a moment of his childhood and parlayed it into the cultural phenomenon known as A Bronx Tale. We’ve seen him in The Usual Suspects, Bullets Over Broadway, Analyze This and as a cop, mobster or some form of tough guy in a ton of other film and TV roles. We caught up with Chazz on the phone in December to interview him for the “Behind the Persona” feature of INSIDE magazine and talk about the musical adaptation of A Bronx Tale coming to The Straz Jan. 29. [Note: Chazz isn’t in the musical but he did write the book and DeNiro directed.] During the conversation, we uncovered what he thinks is the greatest acting work he’s ever done—which happens to be a little film that not many people know about. And, shockingly, it’s not A Bronx Tale. We published the whole interview on Act2, our official podcast, this week, and we’d love for you to hear the wealth of stories Chazz brought to the conversation. For this blog, though, we’re going rogue. We’re going first person. Hello, Strazzers. 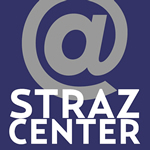 Marlowe Moore here, the senior writer for The Straz and normally the anonymous voice of this blog on behalf of our favorite performing arts center. I decided to step out from the fourth wall on this occasion because my conversation with Chazz revealed the kind of tales and insights that performing arts nerds like myself die a thousand deaths to know. With Chazz, I died two thousand deaths—first, when he shared the anecdote about the time Arthur Miller (Death of Salesman, The Crucible, A View from the Bridge, husband of Marilyn Monroe and my personal writing hero) gave him writing advice; second, when he disclosed that he believes his greatest acting work was his role as the father in Dito Montiel’s shattering and extraordinary film, A Guide to Recognizing Your Saints. Chazz in A Guide to Recognizing Your Saints. In 2014, I met Dito Montiel at the Sanibel Island Writers’ Conference, which, by the way, happens to be one of the dopest writing conferences in the country. I went, not because I am dope but because I am frugal. SIWC is also in the sweet spot budget-wise for nonprofit mavens like myself. If you’re a writer, a dope person or frugal, you should check it out. 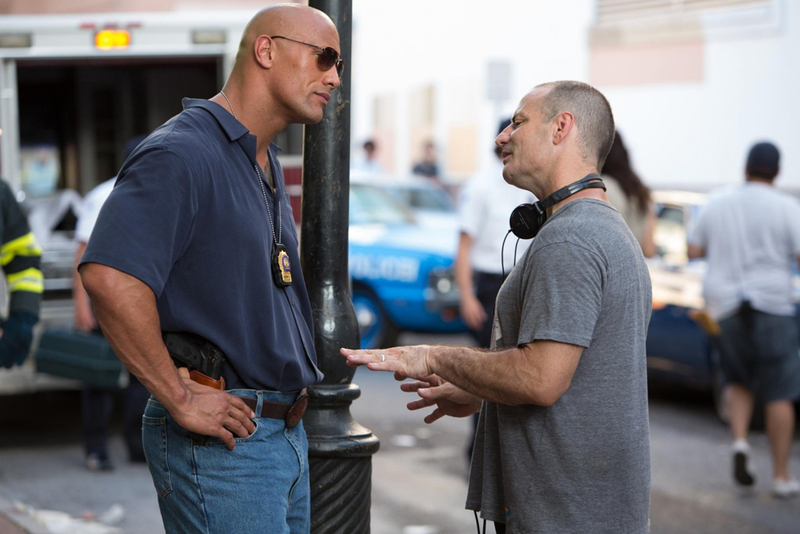 Dito and Dwayne Johnson filming Empire State. Often gazing at his shoes or shifting his eyes toward the doors and windows, Dito unfolded his life story. A kid in Queens. A bad neighborhood. A best friend. An affront by a rival gang member. A baseball bat. Dito got out. He wrote. He played music. He kept his head down after his boy got a life sentence and found a way to Los Angeles. But he lived with the ghosts. To make peace with them, he doodled a graphic memoir during a day job in an audio lab. He titled it A Picture Guide of Saints. The doodles made it to Bob. Bob made it to Dito. They became friends. In 2001, A Guide to Recognizing Your Saints, Dito’s memoir of his friends in Astoria, gets published. In 2006, RDJ—along with Sting and Trudie Styler—produce the film. I realized at the end of the workshop that Dito Montiel is, by nature, a shy guy. I don’t believe he meant for the big take-away for screenwriters to be “hope you know a random person who knows Robert Downey, Jr.” Although, I do believe that’s probably honest writing advice. I think he wanted with his whole heart for his story to be known because he had—in his heart—a debt to pay to a friend he loved. In the weird way stories work, it found its way because Dito wouldn’t give up on it. 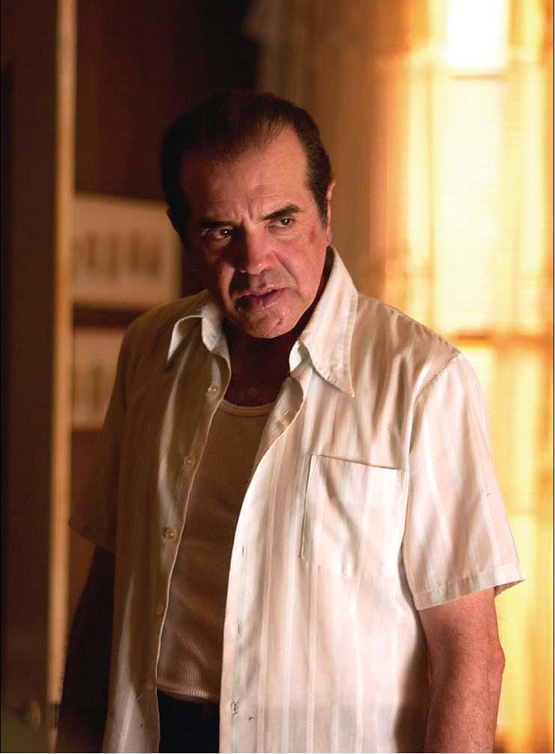 If you know anything at all about Chazz Palminteri and how Robert DeNiro ended up making A Bronx Tale into a film, you’ll understand why Chazz fell in love with A Guide to Recognizing Your Saints. After the conference, I went home and checked out A Guide to Recognizing Your Saints from the public library. I was expecting the typical Mean Streets tropes, but this movie is different. In the film, Robert Downey plays the adult Montiel with Shia LaBoeuf playing the younger Montiel in Queens during the flashback sequences. Antonio, Montiel’s best friend who ends up with life in prison, is played by Eric Roberts, whose acting in this film is The Pope of Greenwich Village-level. Just stellar. The young Antonio acting opposite LaBoeuf? Channing Tatum. Tatum, whose performance skills I’d just studied intensely in multiple viewings of Magic Mike and knew from his work in the Step Up franchise, changed my life. The fact that he can take himself to the place he had to go to for A Guide to Recognizing Your Saints makes me even angrier about Jupiter Ascending. Nobody better talk junk to me about Channing Tatum’s acting skills. Nobody. We just need Dito directing every time I guess. Dito’s foil, his antagonist, his god and his oppressor take the form of his emotionally complex father Monty, played by Chazz. “I’ve done 60 movies,” Chazz told me, “and A Guide to Recognizing Your Saints is one of my favorite all-time movies. I think it’s probably my best performance,” Chazz told me. Hands-down I think it’s Palminteri’s best performance, and I believe his work as Sonny in A Bronx Tale is so sublime his gestures alone should win an Oscar. But what he does as Monty is whatever actors do when they go to that place beyond performing. When Monty enters the scene, my heart races, my blood pressure spikes, I feel so much loss for Dito that I can barely keep my seat. Which is precisely what I did at the moment Chazz refers to here. For reasons I still struggle to articulate, my natural reaction to the conclusion of A Guide to Recognizing Your Saints was to run in the bathroom, shut the door, fall on the floor and bawl. I lived alone at the time, so I had no reason to do any of those things. I could have cried in bed, but I was running from or to something that I needed to experience privately despite the fact that I was already alone; I don’t know. Dito—and Chan, and Bob, and Chazz and Shia—made me look at something so deeply sad about men trying to love in their culture of violence and being oblivious to the fact that they were trying to love at all that stayed with me all this time. There is something about men’s love and the debts they feel towards each other that I don’t understand. Dito’s story cracked some understanding inside of me, and I believe that’s what art is for, why we doodle our ghosts into existence. I consider myself profoundly lucky to have had a few moments to talk about it with someone in the film. Please see Chazz in A Guide to Recognizing Your Saints. Then check out the interview with him on the podcast. And see A Bronx Tale the musical. Chazz promised you’ll love it. ← Thrilling new Jaeb show asks: What would you do if you only had a Hundred Days with the love of your life?